“It seems like everybody loves Harry Dean!” So said David Lynch last October, as he presented the Vidiots Foundation’s inaugural Harry Dean Stanton Award to the man himself. Lynch was one of dozens of luminaries from the film and music world — including Anjelica and Danny Huston, Kris Kristofferson, John C. Reilly, Karen O, Ed Begley Jr. and many others — who gathered at the Ace Hotel in Los Angeles to pay tribute to the legendary actor. There aren’t many truths that are as self-evident as the one spoken by Lynch. Everybody did indeed love Harry Dean Stanton, who died Sept. 15 at the age of 91. In a year that has been absolutely brutal in taking so many beloved “character actors” (several of whom — Bill Paxton, Powers Boothe, Miguel Ferrer — worked alongside Harry Dean over the years), his passing feels the most seismic, if only because he has been part of the cinematic landscape for longer than almost anyone still living, let alone working. 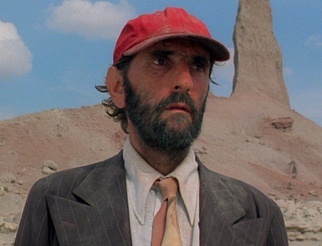 Harry Dean Stanton was born in 1926, in West Irvine, Ky. He grew up at the start of the Depression, joined the Navy (he served as a cook aboard a landing ship during the Battle of Okinawa), and went to college to study journalism. He eventually switched to acting, studying at the Pasadena Playhouse before going on to get bit parts on television and films through the ‘50s and ‘60s. It wasn’t until the late ‘60s that his presence started to become known, thanks to more noticeable roles in Monte Hellman’s Ride The Whirlwind (1966) and alongside Paul Newman in Cool Hand Luke (1967). It was fitting that Stanton should make a name for himself during the collapse of the studio system. This was, after all, a boom time for untraditional leading men like Hackman, Hoffman, Pacino, and Nicholson. Stanton himself wouldn’t get any lead parts until over a decade later, but he fit perfectly alongside the individualists and weirdos of New Hollywood, and his unique screen presence captured the weathered, hungover aura of the films of the ‘70s better than perhaps anyone other than his close friend and frequent co-star Warren Oates. This was also the period where Stanton earned a reputation as a troubadour and staple of the L.A. bar scene, as he played country-western music at various small venues and palled around with the likes of Nicholson, Dylan, and Brando. During the awkward transition from the late ‘70s into the ‘80s, as New Hollywood collapsed like the studio system before it, Stanton had an easier transition (at least onscreen) than many of his peers. He achieved this by continuing to work steadily, stealing the show in a number of movies across a variety of genres, many of which would go on to achieve classic status: Alien (1979), Escape From New York (1981), Christine (1983), Red Dawn (1984), and many more. The year 1984 marked a turning point in his career as he turned in his two largest and most critically acclaimed performances to date, in two wildly different films: Alex Cox’s Repo Man and Wim Wenders’ Paris, Texas. In the former, he plays Bud, a cranky, hard-living repo man who takes a young protégé (a baby-faced Emilio Estevez) under his wing. Together, they traverse a pre-apocalyptic Los Angeles, on the hunt for an elusive Chevy Malibu that’s carrying the stolen corpse of an extra-terrestrial. In Paris, Texas, he plays Travis Henderson, a nearly mute, broken-hearted loner who returns from years of self-imposed exile in the desert to reconnect with the son he abandoned and find the wife who abandoned him. These roles encapsulate everything that was special about Stanton as an actor. Taken together, they show his true range for comedy and drama, eccentricity and stoicism, weirdness and dignity, and his ability to represent both rural and urban America. Here, he becomes a symbol of an American individualism divorced from standard notions of cheap masculinity or false heroism. If Repo Man and Paris, Texas offer Stanton’s most iconic roles to the filmgoers who are likely to know his name in the first place, he would turn in his most iconic mainstream performance less than two years later, with Pretty in Pink. As Molly Ringwald’s depressed but unfailingly supportive father, Stanton manages to elevate John Hughes’s thinly sketched material, crafting a truly heartbreaking performance that in a better world would have earned him an Oscar. It was not long after this that Stanton connected with David Lynch, appearing first in the charming comic short The Cowboy and the Frenchman before going on to co-star in several of the director’s projects afterwards (Wild at Heart, Twin Peaks: Fire Walk with Me, Hotel Room, The Straight Story, Inland Empire and Twin Peaks: The Return). There is hardly a pairing of actor and director more well-suited to each other than that of Harry Dean Stanton and David Lynch (though I hold that it remains a great cinematic missed opportunity that he never found occasion to work with the Coen Brothers). Lynch was able to zero in not only on Stanton’s innate weirdness, but also — and more importantly — on his innate beauty. There are few moments in recent American cinema as utterly devastating or ultimately redemptive than the final scene of Lynch’s The Straight Story (1999), where the octogenarian protagonist (Richard Farnsworth) finally makes it to his estranged and dying brother’s home after driving a lawnmower across two states to see him. Stanton plays the brother, appearing for less than three minutes total, and delivering barely three lines. Yet the weight and depth of emotion he is able to convey with only a few looks is nothing short of epic. Lynch was able to tap into this wellspring of emotion once more, in the recently aired third season of Twin Peaks, by transforming Stanton’s haunted trailer-park manager character in Twin Peaks: Fire Walk with Me (1992) from a cranky, bitter loser into something akin to an earth-bound angel, spreading comfort and grace to all he encounters. Lynch was right when he said at Stanton’s tribute that everybody loved him, but when it came to putting him on screen, no one ever loved him more than Lynch. Not that others didn’t come close. Working from Roger Ebert’s famous maxim that no movie that features Harry Dean Stanton or E. Emmet Walsh can ever be all bad, filmmakers would use him in roles that weren’t so much supporting as they were beatific. Movies seemed to stop when he would appear in them, putting their plots on pause so as to bask in his singular presence. This was true of everything from tent-pole blockbusters (Marvel’s The Avengers, 2012), to quirky dramas (She’s So Lovely, 1997), to dark crime sagas (Alpha Dog, 2006; Seven Psychopaths, 2012), to surreal head-trips (Fear and Loathing in Las Vegas, 1998). This is not to imply that Stanton simply coasted on his status as an icon. He continued to show off his range again and again, as in his truly startling turn as the manipulative but pragmatic Saul/St. 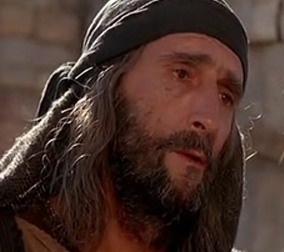 Paul in Martin Scorsese’s Last Temptation of Christ (1988). And he continued working steadily right up to the end, going out on the dual grace notes of Twin Peaks: The Return and the forthcoming Lucky, in which he takes on a clearly autobiographical role of a never-married barfly and lifelong atheist getting his house in order as he reaches the end of his life. Harry Dean Stanton was indeed something of a loner in real life, though it seems he was hardly ever alone. The devotion of his friends was one of the defining qualities of his life. Though I never personally met the man, it’s a devotion that I still feel I can relate to. Growing up on a steady diet of genre films from the time I started watching movies (the first non-kids’ film I remember watching was Alien), I couldn’t help but take notice of Harry Dean’s presence very early on (likely first in Escape From New York). As I eventually discovered the films of New Hollywood, it became increasingly clear how great an actor he was. I would get viscerally excited whenever he showed up in something I didn’t know he was in, and I would seek out movies where I knew he did appear. When my girlfriend surprised me with tickets to Vidiots’ tribute last year, it was fair to say that I couldn’t imagine anyone more deserving of such an award, nor any ceremony I’d rather attend. There was nothing like seeing the man himself take the stage at the end of the night: wearing an oversized, rumpled suit, hair all askew, standing stooped and gaunt and looking every year of his age, he launched into Prospero’s famous monologue from The Tempest (“Our revels now are ended. These, our actors, as I foretold you, were all spirits and are melted into air, into thin air…”) without missing a beat, talked (hopefully) about how we live inside a dream and are in fact nothing, jammed out with Kris Kristofferson and a full mariachi band, and then took his bow, telling everyone in attendance that it was the greatest night of his life. 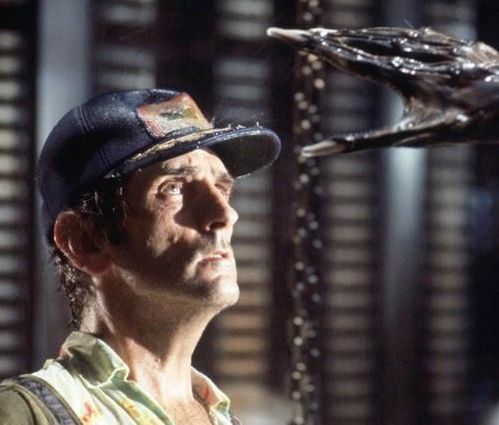 Harry Dean Stanton has taken his final bow and melted into thin air. The world will never see another like him, and indeed it seems hardly believable, almost like a dream, that he ever existed in the first place. Zach Vasquez lives in Los Angeles.